Qatar Chamber has announced that the Qatar National Bank (QNB Group) is supporting the ‘Made in Qatar 2018’ exhibition in Oman as Official Sponsor. The expo, which will be organised by Qatar Chamber for the second time overseas, in co-operation with the Ministry of Energy and Industry and Qatar Development Bank (QDB) as strategic partner, is scheduled to be held from November 5 to 9 on a 10,000sq m area inside the Oman Convention and Exhibition Centre in Muscat. The expo aims to exchange experiences with Omani companies in the industrial sectors, as well as to introduce Omani to Qatari products and opening up new foreign markets to small and large Qatari companies. 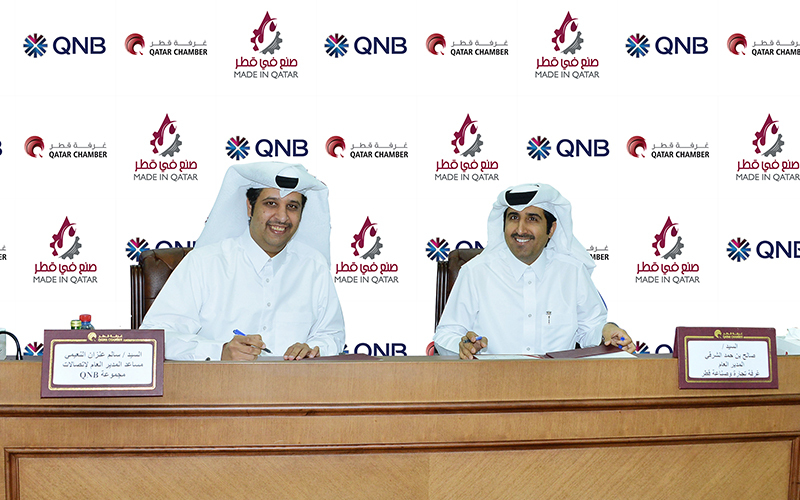 Qatar Chamber Director-General Saleh bin Hamad Al Sharqi and QNB’s Assistant General Manager for Communication, Salim Anzan Al Nuaimi signed the sponsorship agreement at the Chamber’s headquarters. Al Sharqi noted that QNB’s sponsorship the expo affirmed the bank’s interest in supporting Qatar’s efforts aiming at promoting locally-manufactured products outside the country. The event helps open new channels between both countries’ businessmen and prominent pioneers of industry, he pointed out. On his part, Salim Al Nuaimi expressed his pleasure that the QNB is an official sponsor to “Made in Qatar” 2018 exhibition, affirming the bank’s great interest in supporting the events that promote national products and contribute to developing economic growth in the country. 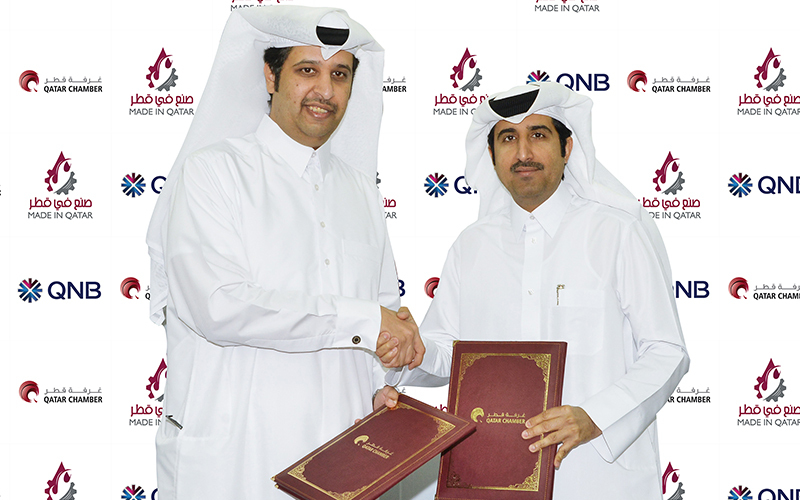 In a statement, Al Nuaimi said that the QNB’s sponsorship to the exhibition stemmed out from its firm commitment towards bolstering local industry and enhancing Qatari entrepreneurs as well as promoting the locally-manufactured products outside the country, supporting Qatari exporters and helping them to find new markets for local products. Al Nuaimi underlined the bank’s continuous commitment towards supporting such events and exhibitions that contribute to enhancing local production and benefiting local economy and industry. The Group’s presence through its subsidiaries and associate companies now extends to more than 31 countries across three continents providing a comprehensive range of advanced products and services. The total number of employees around 29,000 operating through more than 1,100 locations, with an ATM network of more than 4,400 machines.